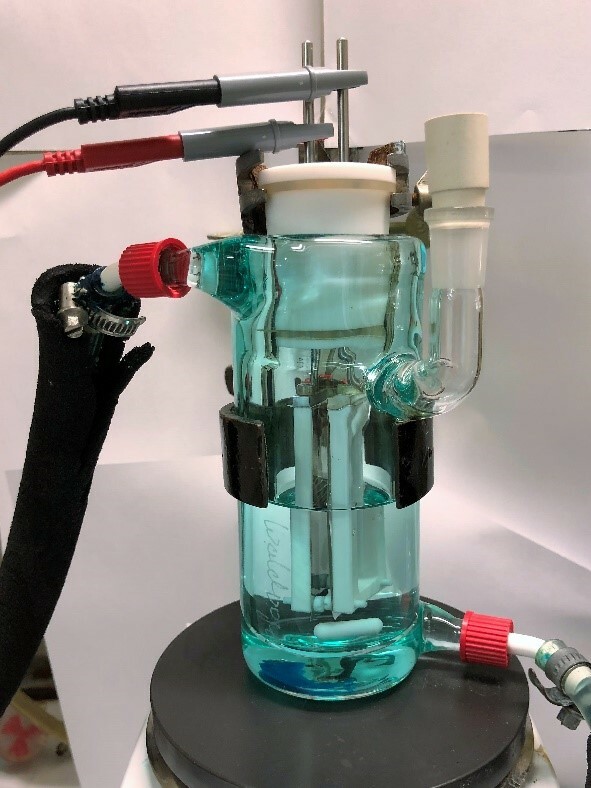 Researchers at Johannes Gutenberg University Mainz (JGU) have mastered a nearly 50-year-old challenge of electrosynthetic chemistry, namely the electrochemical synthesis of thebaine. The chemists had set themselves this difficult task within the framework of a collaboration with the University of Münster. The Mainz-based chemists investigated the oxidative key step in the biosynthesis of thebaine, codeine, and morphine using a simple and self-made electrochemical cell. Thebaine is a component of the latex of the opium poppy and is named after the old designation of Luxor, i.e., the Ancient Egyptian city of Thebes. This opium alkaloid is the biosynthetic precursor of codeine and morphine and serves as the starting material for the industrial production of important pharmaceuticals, such as oxycodone or naloxone. The key step in the biosynthesis of thebaine, codeine, and morphine involves a reaction known as oxidative coupling. For decades, researchers have been trying to mimic this transformation in the laboratory. However, this oxidative coupling represents a considerable challenge because it can result in the formation of four different products, only one of which can be further converted into thebaine. Hence, in order to efficiently mimic this naturally occurring process, a highly selective reaction is mandatory. For decades, chemists have attempted to accomplish a biomimetic synthesis of thebaine using conventional oxidants. However, large quantities of these often toxic reagents were required and undesired coupling products were obtained in most cases. Electrochemistry is a technique that involves the transfer of electrons to or from molecules on the surface of electrodes immersed in a solution. Using this method, it is possible to perform reagent-free oxidations. In fact, these environmentally benign processes only require electric current and avoid the production of chemical waste. So far, electrochemistry did not provide coupling products which could be transformed into thebaine, and its electrochemical synthesis remained a challenging task. Alexander Lipp and Professor Till Opatz from the Institute of Organic Chemistry at JGU have now solved this long-standing problem. Their approach involved astute modification of the starting materials used in the oxidative coupling. With this, they have also paved the way for the future electrochemical synthesis of further opium alkaloids. Other participants involved in the project were Professor Siegfried R. Waldvogel, also from the Institute of Organic Chemistry at Mainz University, and Professor Hans J. Schäfer from the University of Münster. The project was undertaken under the aegis of the Advanced Lab for Electrochemistry and Electroorganic Synthesis (ELYSION), financed by the Carl Zeiss Foundation.